That’s what we call the anniversary of the day we are diagnosed. Today is my two-year cancer-versary. I don’t think anyone forgets the day they hear the words ‘I am sorry but the biopsy came back positive for cancer’. It’s a day your life changes and no matter how much you try to prepare for it, you are never really ready to hear those words. The day started out pretty bad as I woke up with a bad case of the flu and had to go to the medical clinic first thing. While I was there, I asked my doctor if my biopsy results were in because it had been 10 days since the ultrasound when the sample was taken. She didn’t have the results yet, but promised to track them down and call me later in the day. I went home to bed with lots of flu medications and napped for a couple hours. I woke up at about 11 am when my doctor called me with the news. Beyond the initial statement, the rest of the conversation was a blur. I really wasn’t able to completely process at that time everything she was saying and my mind was racing. When I got off the phone, I gave myself a moment to take a deep breath and began to wonder what I should do next. I began to wonder who I should tell and how. Up until that point, other than my immediate supervisor and my assistant at work, no one knew I had discovered a lump and that they suspected cancer, except Boss because we had competed the weekend before my ultrasound and I was quite stressed and distracted. I started making phone calls, and I remember talking to my assistant and she was the first person who I told that I had cancer. Saying it was one of the hardest things to do, but it got easier after that. I called my supervisor, my parents, one of my sisters (the other was with my mother) and the senior communication officer for the region. In the middle of all that, I received an email from the National communication officer to tell me that I had been selected for a major extended overseas assignment. So on top of everything else, I had to call Ottawa and turn down that offer. After that, I gave myself some time to process and ended up calling my doctor back with questions. She actually called me shortly after with a referral to a surgeon for the following Monday. And so began my cancer journey two years ago. After I gave myself time to process I told Boss–I was supposed to have a lesson that night and between the flu and the news, it wasn’t going to happen. The next few days passed in a blur of the flu, doctor appointments appointed information gathering. At that point, no one knew the extent of my cancer so there were lots of tests to be done before what turned out to be my first surgery. From conversations I have had with others, no cancer diagnosis is the same, no one reacts the same, and rarely is the initial diagnosis the same as the final one. I was initially diagnosed with stage 0 ductal carcinoma in-situ (DCIS). 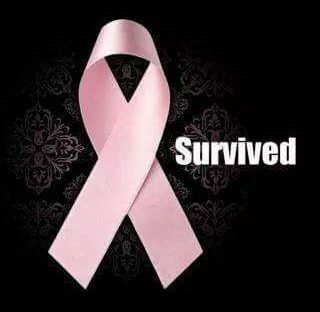 My final diagnosis was aggressive stage 2 DCIS and Invasive Ductal Carcinoma. That began my journey, and in many ways it is still on-going, even though I will celebrate 1 year cancer-free next month. Dealing with the withdrawal symptoms I have in the past week, today was probably a little harder than it needed to be.